Effective in early September 2009, Wharton Research Data Services (WRDS) is changing the way Library users of the WRDS web site access their site. This change in access method does not affect Duke or Fuqua Faculty and Phd students who hold their own WRDS usernames and passwords. If you connect to any WRDS data set from the Ford Library database page, or from the Duke Libraries database finder, you will need to enter your Duke email address at the WRDS web site, after you have entered your Duke NetID and password and been sent to the WRDS site. User follows a link from a Library web site to a WRDS data set. User enters their Duke NetID and password when prompted by Duke. User enters their Duke eMail address at the WRDS web site. WRDS sends a “WRDS Day Pass” email to the user’s Duke eMail account that contains a “connection string” URL. All off-campus users, and non-Fuqua MBA Duke users (both on- and off-campus) must now enable a Duke or Fuqua VPN connection. The user follows the Day Pass URL and is connected directly to the WRDS site, and may begin their research. The Day Pass URL is effective for 24 hours. After 24 hours, you must return to the WRDS web site via a Library site link, and re-submit your email address to receive a new Day Pass URL. Remember that non-Fuqua Duke users, and ALL off-campus users must have an active Duke, or Fuqua VPN connection to successfully connect to WRDS via a Day Pass URL. We encourage users to test their access on the new WRDS site by following links to the above products. Please comment on this post, or contact us at reference-librarians@fuqua.duke.edu if you have questions or difficulty accessing WRDS. Moreton, Bethany. 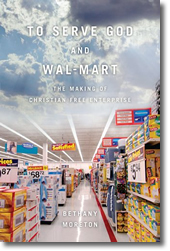 To serve God and Wal-Mart : the making of Christian free enterprise. 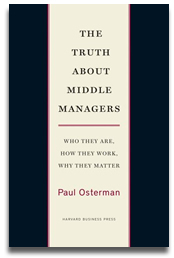 Harvard University Press, 2009. Historian Bethany Moreton recounts the birth and growth of Wal-Mart from one store in Bentonville, Arkansas to the largest retailer in the world. 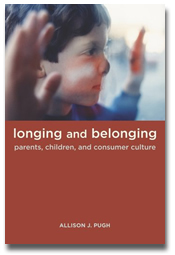 Interwoven into this story is a complex network of cultural ideals, including devotion to free markets, the family and evangelical Christianity. In the post WWII years, the US government redistributed wealth from the industrial North to the rural South and the New Christian Right learned to harness electoral power to promote “family values.” Sam Walton took a discount retailer in a rural town in the Sun Belt and built a regional chain around Christian and family values, which later evolved into a global powerhouse. This story shows how business, religion and government are interconnected in modern America and brings clarity into the current political landscape.